Hay Pinorama is the collection for all the small things that often don’t have a fixed place. The flexible Pinorama Board organises the everyday – with functional and practical style full of charm. The Hay Pinorama was designed by Inga Sempé. 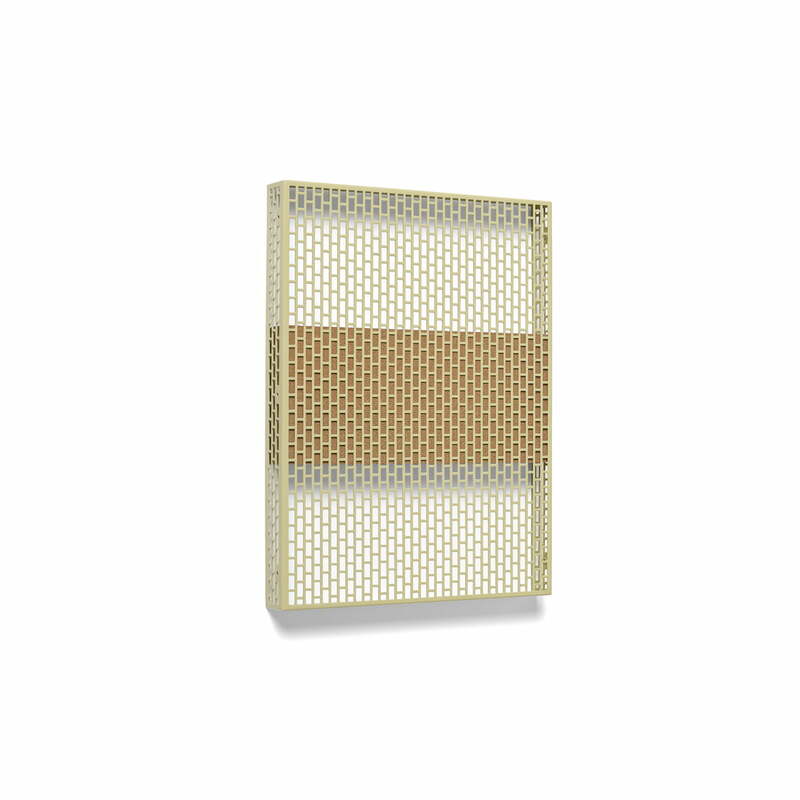 The name is a composition of ‘pin’ and ‘panorama’, which is easily explained if you take a closer look at the organiser: the rectangular perforated metal with rear cork backing is a trademark of the Pinorama collection. Notes, pictures and other things can be attached to the integrated pin board, keeping everything important in sight. 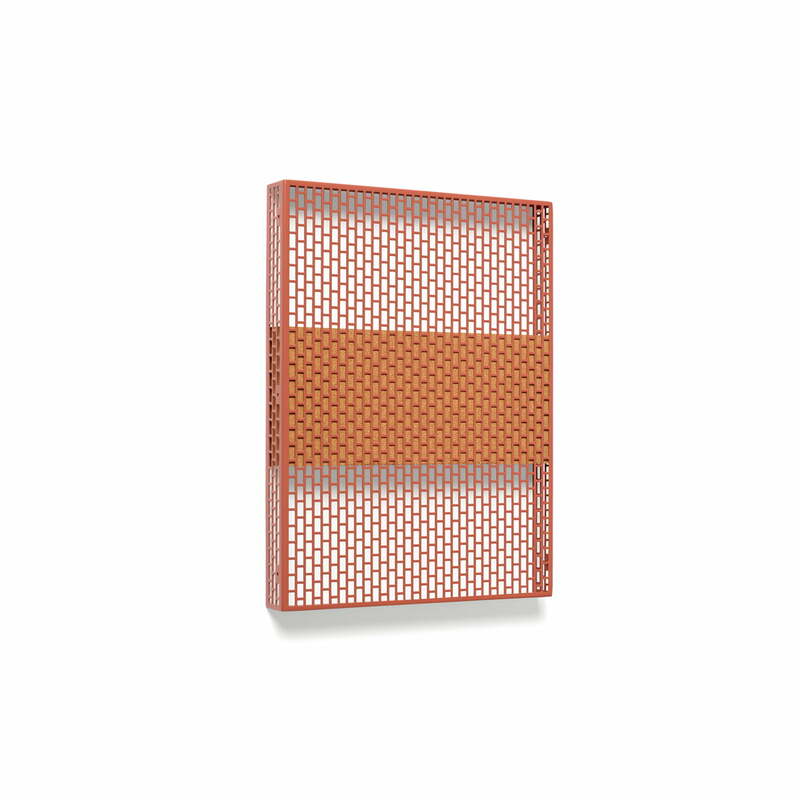 The magnetic board with integrated cork board is the basic module of the Pinorama collection. The individual organiser with pinboard can be used individually or personalised with several accessories if desired. With the Pinorama accessories such as pen holder, mirror or shelf, the Pinorama Board can be put together individually and in different colours. 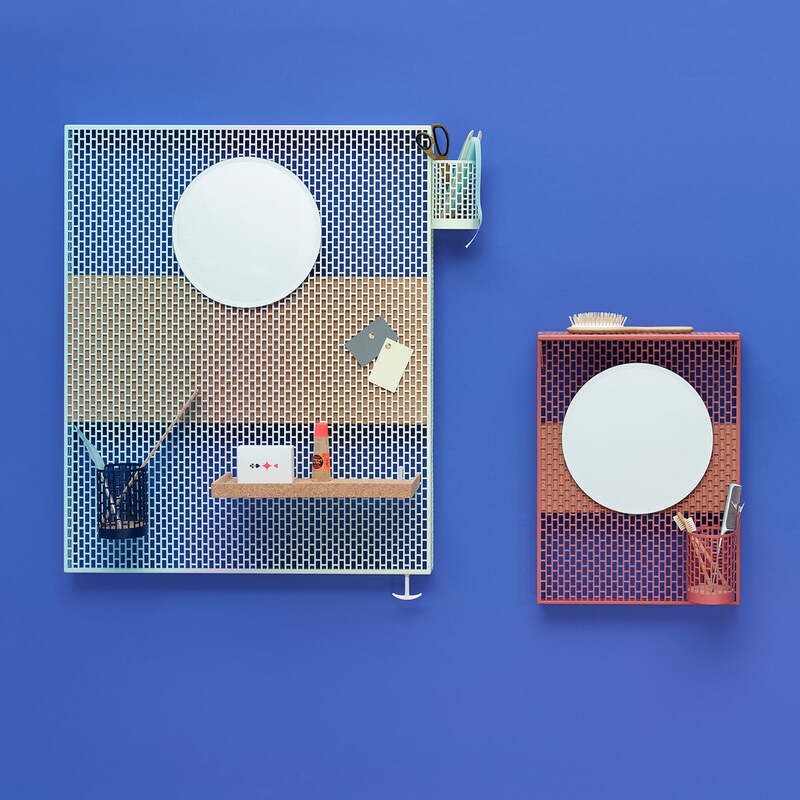 Many office accessories in the shape of shelves, mirrors and pen holders are represented in the Hay Pinorama collection. All additions can be combined with each other by simply connecting them onto the metal frame. In addition to the small version, the Pinorama Board is also available in a large edition in various colours.